It’s shaped like a flying saucer and big enough to hold the earth, the universe, four kinds of environment and a T-Rex. 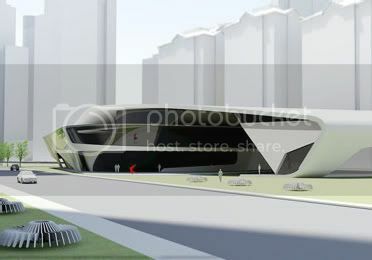 A modern science museum, which promises visitors a multisensory experience, will be built at a cost of P1 billion in a sprawling park at Fort Bonifacio, Taguig City. The Mind Museum, expected to open by 2010, was conceived by the Bonifacio Arts Foundation Inc. (Bafi), whose board of trustees includes Joselito Campos Jr., Fernando Zobel de Ayala and Jaime I. Ayala. Click "Read More" to view a top view of the architectural wonder. A team of experts in different fields, like national artist Ben “BenCab” Cabrera and other Filipino artists, is collaborating to conceptualize and design the exhibits. 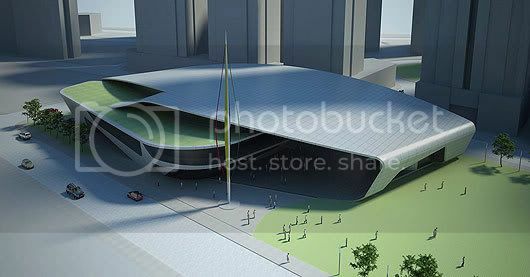 To be built in West Crescent Park in Bonifacio Global City, the museum features the story of the atom, the varieties of life, the mystery inside the earth, the majesty of the universe and the evolution of technology. Thus, the museum’s main galleries on the ground level are called Atom, Life, Earth and Universe. Another gallery devoted entirely to Technology will be on the upper level.